Start by checking out the FAQ section at the bottom of the page. Most people find a helpful answer there. Or, browse through our complete FAQ list. If you still need help, or just want to talk to a real person, fill out the Contact Us form. Or give us a call at 1.888.511.6548. We’re here to take your call during normal business hours (Pacific Standard Time). 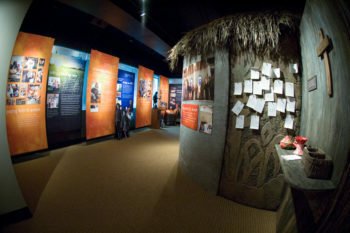 Learn about our work by immersing yourself in our Visitor Center. This 1,500-square-foot interactive experience is perfect for guests of all ages. Explore a timeline of our history, stories, photos, video, audio, and interactive displays about our work in clean water, education, healthcare, and disaster response. 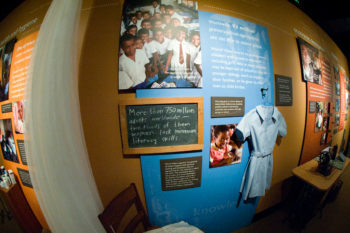 Open for self-tours Monday-Friday, 9 a.m. - 4 p.m.
What is World Vision? What do you do? World Vision is a global Christian relief and development organization. We’re dedicated to helping children, families, and communities reach their full potential by tackling the causes of poverty and injustice. We help transform the lives of the world’s poorest children and families in nearly 100 countries, including the United States. Our community-development approach to ending poverty includes: Nutrition, safe drinking water, education, economic opportunity, disaster response, and empowering women. We help all people, regardless of their religious beliefs, gender, race, or ethnicity. Can I send a Gift Catalog gift to my sponsored child? Sorry, it doesn’t work that way. Our gift catalog items are for planned community projects, not individual sponsored children. However, if you want to give a special gift to your sponsored child, please call 1-800-777-5777, and we’ll help work out the details. To be good stewards of our field staff’s time and resources, these gifts must be $100 or more. Local staff will use your gift to purchase items in your child’s country, saving shipping and other costs. Then we’ll send you a letter and photo about the impact of your gift. We promise to use your donation in the most effective way possible. 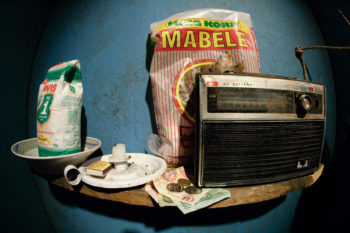 The needs shown in the Gift Catalog reflect World Vision projects at the time the catalog was written, and each item is representative of its gift category. Donations will provide assistance where it’s needed most within that category, or to address a similar need. With the larger items, such as wells, clinics, and schools, World Vision pools donations in order to provide as many wells, clinics, and schools as possible. These items are not matched to individual donors. Can I send a letter or email my sponsored child? Yes! Being a child sponsor is also about building a wonderful friendship. Exchanging letters, cards, or emails is a great way to connect with your sponsored child. Visit the “Send a Letter” page for ideas on what to write. You may send letters to your sponsored child at the National Office address located on your child’s picture folder. You can also find it by signing in to your My World Vision account. Note: For the protection of the children, sponsors, and our staff, we read letters that are exchanged between sponsors and their sponsored children. The letters are reviewed to ensure people do not threaten children, put their lives in danger, or try to develop inappropriate relationships. In many of the countries where we work, Christian expression is restricted, so we monitor the letters to make sure nothing written could endanger the child or family. We also review letters to our sponsors to ensure they do not receive inappropriate solicitation of funds from children’s families. If your sponsored child lives in a country where Christianity is restricted, we will notify you. Please see your Welcome Kit or visit the “Send a Letter” page for writing tips on what topics to avoid. If you are a corporation that sponsors children, or if you sponsor more than 15 children, please use this special link to email your sponsored children. Can I change my giving method or provide a new credit card number online? Yes. Sign in to My World Vision and visit the “My Account” page. Under “Payment Options,” select “Manage Automated Giving.” You can add or edit your credit card or bank information. We keep your personal information as secure as possible. All web forms requesting your confidential information (such as credit card numbers) on the My World Vision website use “SSL,” an Internet security protocol that encrypts your information. Will I receive a receipt for my gift, and is the gift tax-deductible? Yes, we’ll mail you a receipt for your gift to World Vision. Your gifts are tax-deductible, excluding the amount for shipping and handling charges or the fair market value for any items, if applicable. What is World Vision’s address, email, and phone number?